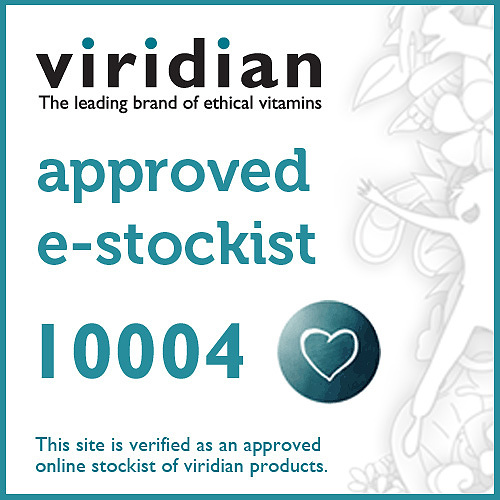 Viridian’s best-selling B-complex with vitamin C. Adrenal maintenance for when times are tough. The B-complex vitamins help to convert food into energy, essential when life gets especially hectic. Magnesium Ascorbate provides vitamin C, an antioxidant which helps maintain the immune system. Extra vitamin C is often needed for those with busy lifestyles. B vitamins are required for the release of energy from food, for the healthy function of the nervous system and for the production of hormones. B vitamins are also essential for good circulation, a strong immune system and for healthy skin, hair and eyes. hypromellose (plant cellulose – vegan). Take one to three vegicaps daily with water at meal times. Below are reviews of High Five B-Complex - Magnesium Ascorbate - 120 Vegicaps by bodykind customers. If you have tried this product we'd love to hear what you think so please leave a review. Just feel generally better for taking these. Have used for last 6 months and helps with my muscle mobility. Thoroughly recommend. help when stressed and busy would definitely buy again, I also feel like I have more energy ! 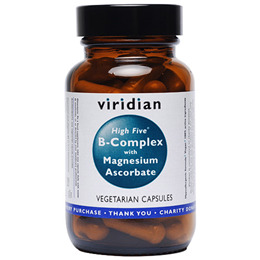 Viridian HIGH FIVE B-Complex and Magnesium Ascorbate is packed with nutrients to support a busy and demanding lifestyle. It includes all the B Complex vitamins and vitamin C to help maintain adrenal function.